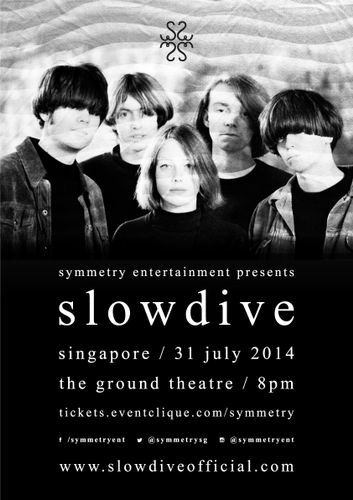 Legendary shoegaze band, Slowdive will be gracing our shores for their ONLY Southeast-Asian headline show here in Singapore on 31 July 2014. Featuring the original line-up, Slowdive recently reunited in 2014 to play and headline a slew of festivals worldwide, including Primavera, Latitude and Pitchfork Music Festival. Slowdive is an English dream pop band that formed in 1989. The band formed in Reading, Berkshire and primarily consists of Nick Chaplin (bass), Rachel Goswell (vocals, guitar), Neil Halstead (vocals, guitar), and Christian Savill (guitar). They have released 3 full length studio albums in the early 1990s to much critical and commercial success.